Trapped within a deep coma, professor Ayumu Tsuburaya struggles to regain his memory of the events that led to his condition. As he searches his inner mind, the beings that make up the fabric of his personality emerge, locked in conflict. As the Tournament of the Mind begins, will Ayumu's mind regain order, or will it remain forever lost in chaos? Konsui Fighter is a traditional 2D fighting game for Android-based mobile devices created from the ground up by Kansas City based game developer Circean Studios. Konsui Fighter features all original hand-drawn artwork and animation from acclaimed artist Jas Carpenter. The story, game design, engine, code, and original soundtrack are produced by lead director Shayne Helms. Graphics and network subsystems, custom tools, and story engine are provided by developer Sean Cornett. 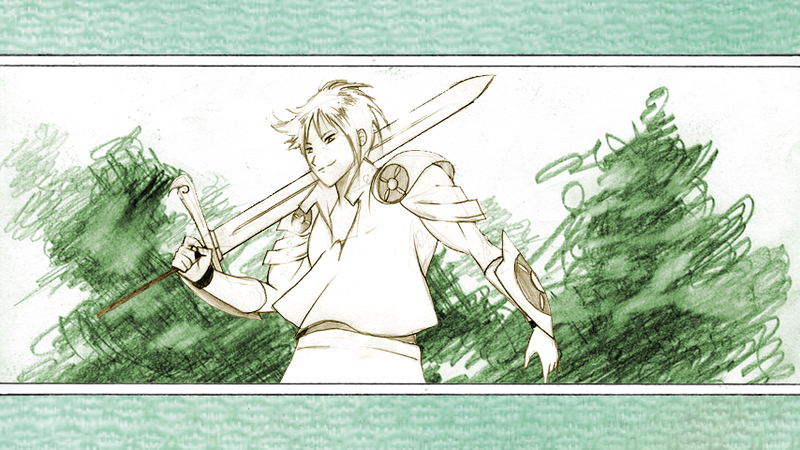 Character frame colorization is provided by digital artists Leah Faulkner and Michelle Thomas. Press and marketing for Circean Studios managed by PR lead Logan Jensen. Arcade Mode - Fight against a stack of opponents in this classic arcade-style mode. Story Mode - Enter the inner mind of professor Ayumu Tsuburaya in Story Mode, featuring original artwork from lead artist Jas Carpenter, and story by lead director Shayne Helms. Versus Mode - Go head to head against a CPU controlled fighter, or a friend locally via WiFi in Versus mode. Training Mode - Learn the basics of Konsui Fighter through the tutorial mode, or setup a training session to perfect your skills! 10 playable characters, featuring classic hand-drawn animations from lead artist Jas Carpenter, and colorization from digital artists Leah Faulkner and Michelle Thomas. Unique AI opponents, utilizing Behavioral Matrixing, allows for improved scalability of challenge across difficulty levels, and variety of techniques used by AI controlled opponents. Innovative control scheme, built from the ground up for mobile platforms to provide a fast-paced yet detailed fighting game experience. Original soundtrack, created by lead director Shayne Helms captures the mood and drive of Konsui Fighter's characters and story. Aeaea Engine is Circean Studios' custom-built game engine powering Konsui Fighter. Designed by lead director Shayne Helms and developer Sean Cornett, Aeaea provides all the tools and features needed to create 2D games for mobile platforms. From hardware accelerated graphics, to physics, networking, content management, and beyond, Aeaea provides a quick and simple way to create anything your imagination can come up with! Circean Studios has plans to release the Aeaea SDK and licensing terms in the near future. Stay tuned for more details!